The core membership of Novak & Haar is made up of guitarist Jon Novak and bassist Mark Haar. Novak & Haar has been performing together as a jazz duo since 1998. Prior to forming Novak & Haar, Jon and Mark had played together in various small jazz combos, large big bands, musical theater ensembles, Blue House with the Rent to Own Horns, and various worship bands in the Omaha and Lincoln, Nebraska, metro areas. When Novak & Haar performs as a trio, they add Carlos C. Figueroa on the drumset. In the Spring of 2005, Novak & Haar was added to the Nebraska Arts Council's Nebraska Touring Program roster. Jon Novak has been playing guitar professionally since 1970. 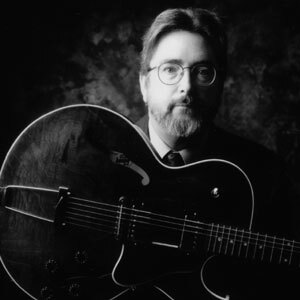 He has played a wide variety of guitar styles from classical to blues and has played with numerous musicians and bands, including Bo Diddley, the Platters, the Coasters, the Shirellels and the Lawrence Welk Orchestra. He has also played for the Broadway touring productions of Jesus Christ Superstar and Annie. Jon now concentrates his efforts on his love for jazz guitar. He also spends time composing and arranging; his jazz and blues Lutheran church liturgy was premiered early May of 2003. He has recorded four CDs - Live at the Zoo! recorded with Blue House and A Summers Carol, A Winters Carol, and Old Friends, recorded with Novak & Haar. Mark Haar received a Bachelor of Arts degree from Coe College in Cedar Rapids, IA, and a Masters of Music degree from the University of Nebraska at Omaha. 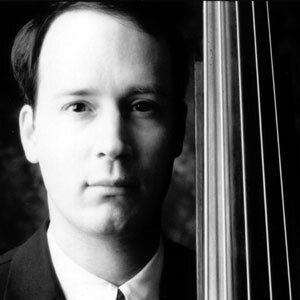 In and around Nebraska, Mark has performed with the Omaha Symphony, the Omaha Symphony Chamber Orchestra and was the Principal Bassist of the Sioux City Symphony. Currently he is a member of the Lincoln Symphony Orchestra. Mark has performed with many different jazz ensembles, everything from a small duo to a large big band jazz ensemble. Some of the groups with which Mark has performed include the Nebraska Jazz Orchestra, the Bluffs Big Band, the Omaha Big Band, the Matt Wallace Quartet, and the Darryl White Quartet. He has also played with blues bands, worship bands and musical theater pit orchestras including the pit orchestras of Broadway touring productions of Wicked, Grease and Big, as well as for many different stage productions at the Omaha Community Playhouse. With Mark's current jazz group, Novak & Haar, he has recorded "A Summer's Carol," and "A Winter's Carol," and "Old Friends." All three of these albums have received both national and international attention. Along with his performing, Mark also teaches both double bass and electric bass guitar at Iowa Western Community College and at his private studio.